No reassurance shield after the 472 junction. 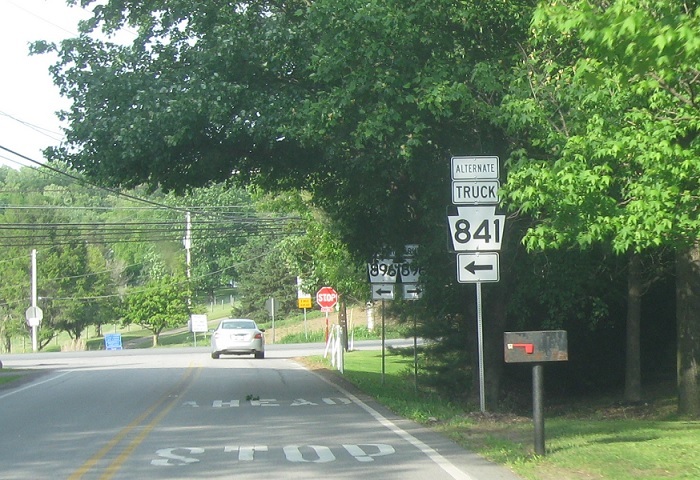 About a mile later, Route 841 will turn right. 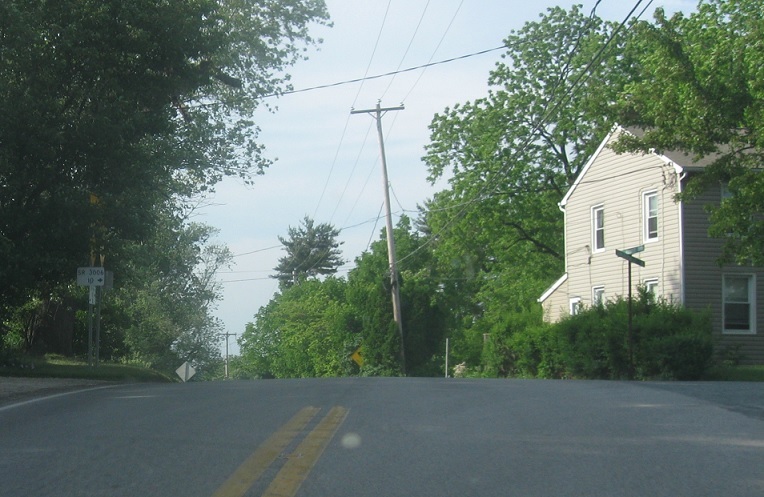 Turn right to stay on the Chesterville Road. 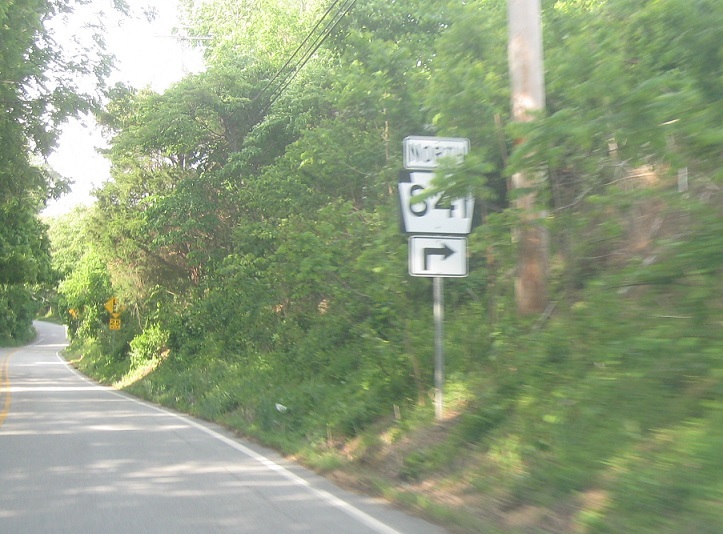 Shortly thereafter we’ll approach PA 896. 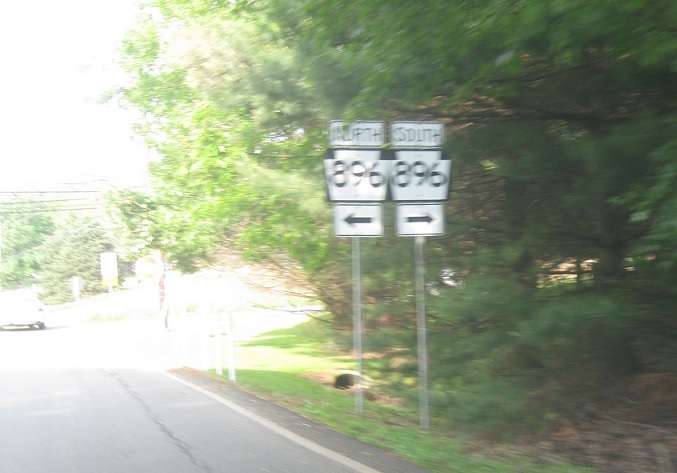 Turn right for 896 south and left for 896 north. 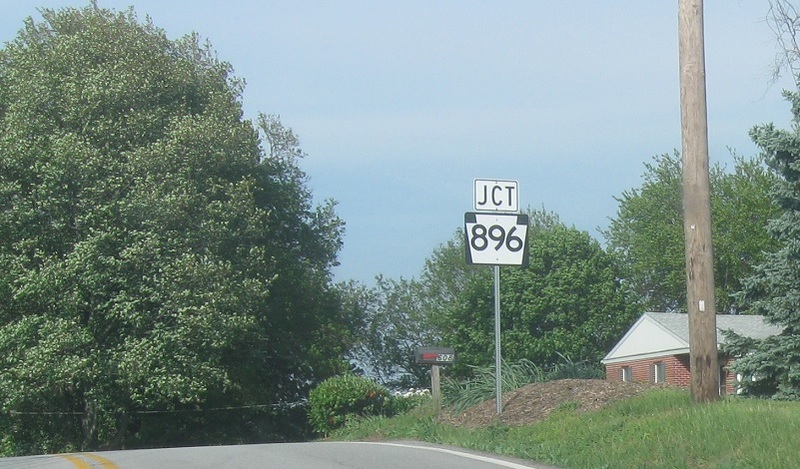 Follow 896 north for an alternate truck route of 841. 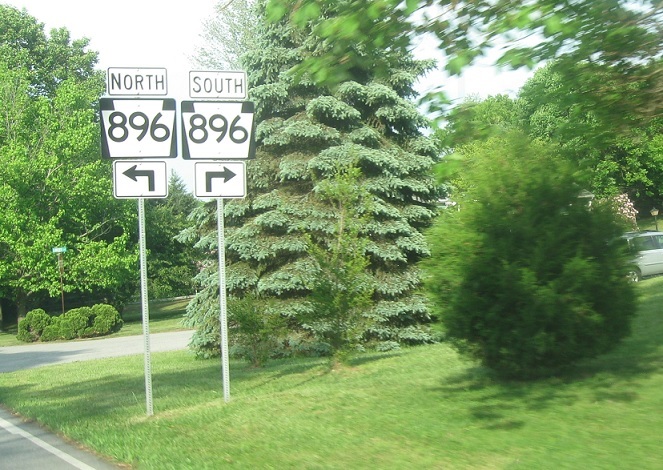 Follow 896 south to Delaware and 896 north to New London. 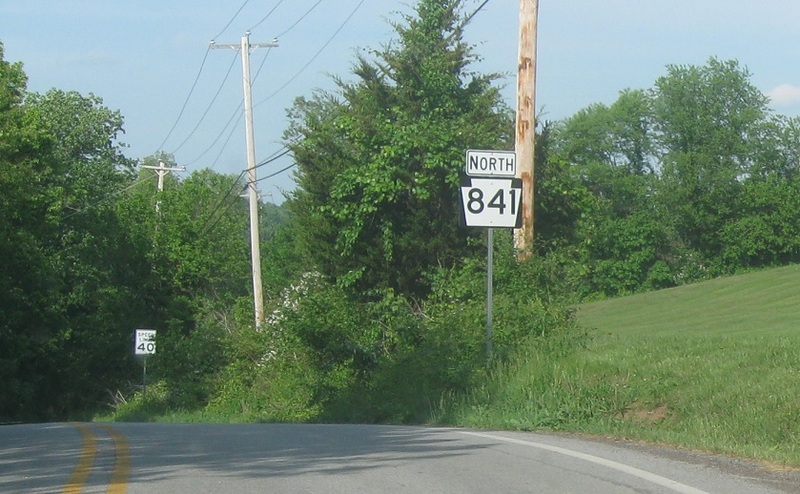 Stay straight to stay on 841.